Welcome to the website of the National Association of Choirs. Welcome to the website of the National Association of Choirs. The NAC is an organisation run by volunteer officers with the aim of promoting choral music across the UK. To do this we provide help and assistance to member choirs, via this website, our periodic magazines News & Views, contact numbers and email addresses. Our membership is growing rapidly with numbers in excess of 750 choirs all around the UK. If you would like to find a choir local to you, see the Choirs link, and follow either the Choirs map or go to the geographic Group that interests you. If you are already a member choir you will be able to access information, not available to the general public, in the Members Area. Here you will find copies of News & Views, minutes of meetings, full details of our insurance scheme, Advice Sheets, and other interesting information. You should be aware that new Regulations regarding the holding and usage of personal data came into force on 25 May 2018. A new Advice Sheet for choirs has been prepared and is now live on the website, under Member Area/ Advice Sheets/AS 8.09. This is important, and you should read the information. If you do not have access to the Internet, please contact the General Secretary and ask for a hard copy of the Advice Sheet. Following an Employment Tribunal Case decided on 26 April 2018, the Advice Sheets concerned with Recruitment of Musical Directors and Accompanists have been revised. Again, the information is important and should be read as soon as possible. To get into the Members Area you will need to contact our Webmaster for a username and password. In addition to the magazine, published three times per year, we hold an annual three-day conference. This moves around the country to a different area each year, so that every member choir has the opportunity to send their representative to conference without having to travel too far. The 2019 Conference (5 - 7 April) will be held at the Best Western Moat House Hotel, Hanley, Stoke on Trent, and full details together with a booking form will be published in News & Views and on this website later. The weekend begins with a dinner when we can all meet up again with old friends and make new ones, followed by various workshops and seminars. 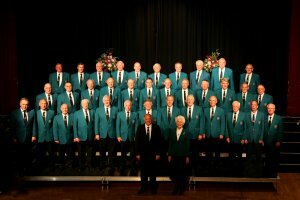 What is really enjoyable is the concert showcasing local choirs on the Saturday evening. The weekend is always great for renewing old and making new friends, talking over problems and sharing best practice, and just plain having fun with like-minded people!. It would be lovely to meet you all, so please do come along and join us. We are here to help with all aspects of running a choir - we know the problems that go with trying to be a business in the voluntary world - and if we don't know the answers we know people who do. 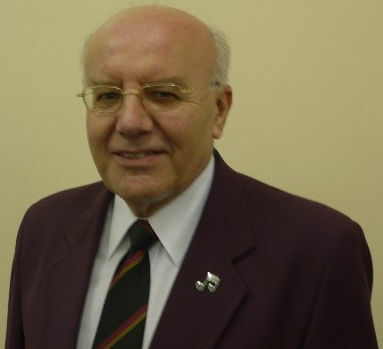 The officers of the Association have considerable hands-on experience from running their own choirs, and are always available to assist on the phone or by email. Best wishes and enjoy your singing!